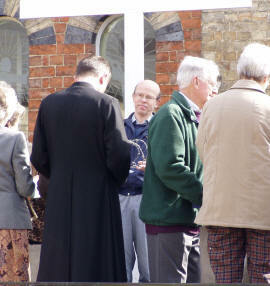 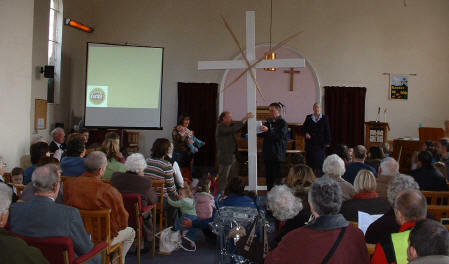 Bishop Michael had the idea of every parish putting up a cross on Palm Sunday in a place where it would be noticed. 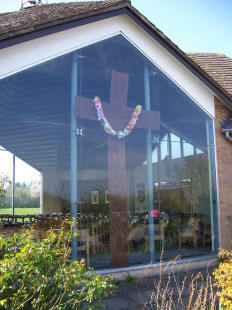 St Nicolas’ is making use of their huge window space and will display a cross on a banner worked on by the Sunday Club. 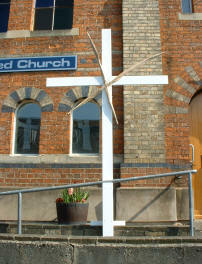 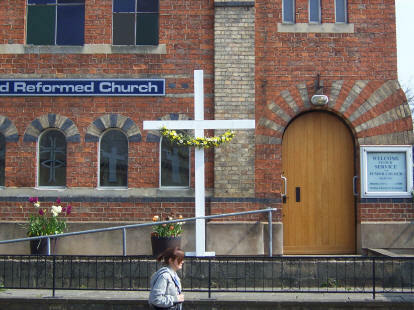 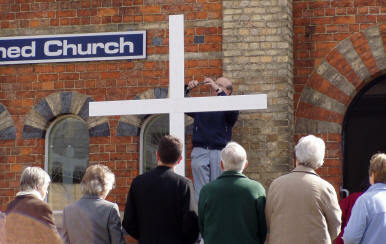 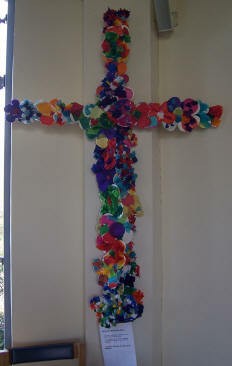 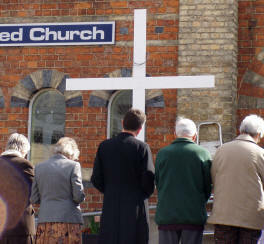 St Mary’s will join with the United Reformed Church, who are having a cross made and painted white. 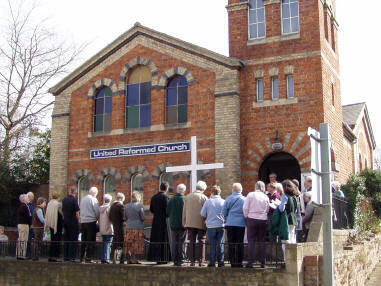 On Palm Sunday (1st April) everyone is invited to meet at the United Reformed Chapel in Deep Street at 10.30am for a very short joint act of worship as the cross is put in place.